This past fall, we went on a marvelous trip to the Napa Valley for a wine tasting weekend right before harvest time. We went to four different wineries featuring vegan wines. U.S. wines are not required to disclose fining ingredients on their labels. If you want to know if a wine is vegan, ask the winemaker or check the Barnivore app. Barnivore doesn’t list whether PVPP is used, however, PVPP is not allowed in organic wine. Here is an info sheet for more information on PVPP . Gloria Ferrer makes sparkling and varietals in the Carneros American Viticultural Area (AVA) in Sonoma. Their sparkling wine is vegan, but they use non-vegan fining agents in their varietals. According to their winemaker, they have used PVPP twice in the last eight years. They are California- certified sustainable, but not certified organic. We had a Bubbles and Bites tasting with appetizers. We requested vegan options at reservation and they had beautiful vegan trays for us that matched the others. The food was lovely. We tasted Royal Cuvée, Blanc de Blanc, Extra Brut, Brut Rosé, and Demi-Sec. We love their sparkling wines and it was such a fun event! Wine tasting at Cuvaison in Napa. The Cuvaison winery is located in Napa and their wines are from the Carneros and Mt. Veeder APAs. Their wine is vegan, but not certified organic. Cuvaison’s winemaker reported they do not use PVPP as a fining agent. Our friends had reserved tastings with cheese pairings. The winery said they had a vegan option, but it was simply a small fig and nut disk tossed on the table while our friends had a beautiful cheese platter, so that was disappointing. Fortunately, I had prepared a vegan cheese platter to bring along. We tasted Sauvignon Blanc, Methodé Béton; Chardonnay, ATS; Pinot Noir, Spire; Syrah; Zinfandel, Bald Mountain; and Cabernet Sauvignon, Brandlin Estate. Far Niente is located in Oakville, between Saint Helena and Yountville, and their winery is on the National Register of Historic Places. The oldest known intact bottle of California wine is an 1886 Far Niente Sweet Muscat. Their wine is vegan, but not organic. The winemaker did not respond to my inquiry regarding PVPP. We had a private wine and cheese tasting here as well, but no vegan options were available, so we ate the cheese we brought. We tasted their Cave Collection Chardonnay, Enroute Pinor Noir “Les Pommiers,” Estate bottled Cabernet Sauvignon, and Dolce. Chateau Montelena put Napa wines on the worldwide wine map when they won the 1976 Judgment of Paris wine competition, turning the wine world on it’s head. The movie Bottle Shock features their story. This was a spontaneous tasting, so we didn’t have a cheese pairing. We tasted their Sauvignon Blanc, Cardonnay, Zinfandel, and Montelena Estate Cabernet Sauvignon. According to our server, they use organic practices in their vineyard and wine production, but have not applied for organic certification; they do not use PVPP in their wine. What I really love about Chateau Montelena is that even though they put Napa on the map, they are down-to-earth and unpretentious. Vegan wine is out there, and a lot of wine is accidentally vegan. You can consult Barnivore or send an email to wineries beforehand to find out whether or not they have vegan options. We’ve found that winemakers love to talk about their wine, so don’t be shy about inquiring. And, don’t be afraid to ask for vegan nibbles or to bring along your own vegan cheese. None of the wineries batted an eyelash at our bringing vegan cheese and it’s important for them to see that people want/need different options at their tastings. The more we inquire and the more we are present with our food preferences, the more likely things are to change. Cindy Thompson is a Main Street Vegan Academy Vegan Lifestyle Coach and Educator; an American Council on Exercise certified Health Coach, Peer Fitness Trainer, and Fitness Nutrition Specialist; Rouxbe Culinary School Plant-Based Professional; a 5 Gyres Ambassador; and Soil and Water Steward for Tilth Alliance in Seattle, WA. Recently retired from a 20-year firefighting career, she has a MS in Leadership, specializing in Servant Leadership. She provides health and lifestyle coaching at Trimazing! Vegan Lifestyle & Health Coaching . Find her on Facebook and follow on Instagram @TrimazingVLC. Cindy can be reached at info@trimazing.com. 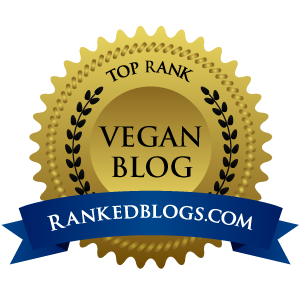 Sign up here to receive the Main Street Vegan blog, newsy letter, and other perks, and get the fun and informative e-guide: "3 Steps to Rocking a Vegan Lifestyle". What a terrific post! It makes me want to take a vacation. And the photos are gorgeous. WANNA BE A MAIN STREET VEGAN?